Clear Quartz- aka Permanent Ice \u2013 associate with the crown chakra. 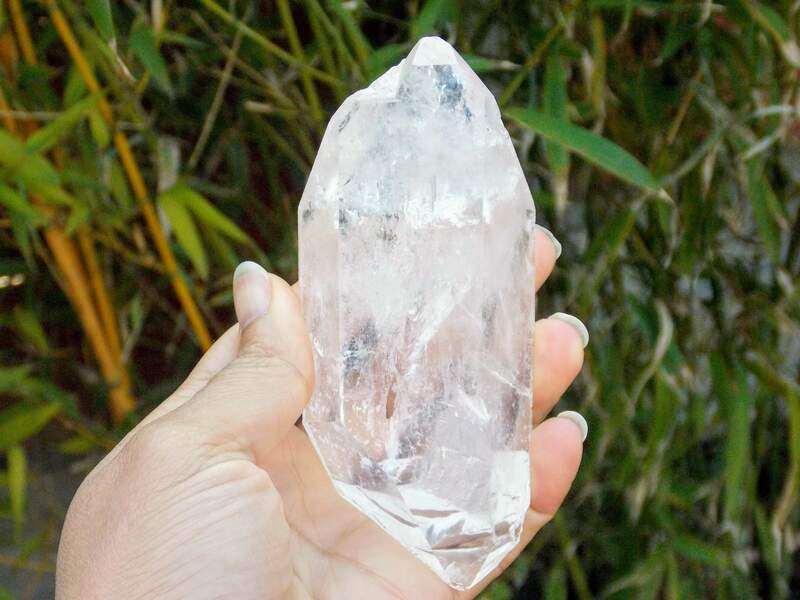 Clear Quartz- aka Permanent Ice – associate with the crown chakra. Transparent or milky, pointed or clustered, clear quartz contains the full spectrum of colours and can be identified by its long prisms and hexagonal cross sections. It amplifies other gemstones as well as the users actions and intensions. Said to strengthen the users aural field and increases clarity of thought and sharpness perception. Prized by healers and shamans for its abilities in accessing the spirit world, it encourages the user to experience all aspects of nature, human and divine. It is a must have for any crystal collection.